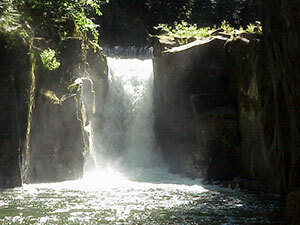 Oregon's Tualatin River was the site of one of America's first Total Maximum Daily Loads (TMDLs). Despite the steep learning curve - or perhaps because of it - the Tualatin experience can serve as a road map to watershed groups and TMDL committees more than two decades later. A groundbreaking TMDL process in Oregon identifies the chain of command among federal, state and county agencies, and underscores the importance of technical advisory groups in shaping, and reviewing TMDLs. The Tualatin River water shed in northwestern Oregon was one of the first TMDL-regulated watersheds in the United States. TMDLs were set in 1987-88 following the resolution of a lawsuit based on the Clean Water Act (Northwest Environmental Defense Center v. Thomas). As a result of this lawsuit, a consent decree was agreed upon which included both a timetable for certain Oregon actions and a requirement for EPA action if Oregon did not comply (Lindley, 1998). Based upon existing knowledge, TMDLs were set for the main stem of the Tualatin River by the Oregon Department of Environmental Quality (DEQ). Summer flow rates were averaged for the tributaries and the mainstem of the river so that concentrations would not exceed 70 micrograms (0.07 milligrams) total phosphorus (TP)/L and 1 mg ammonia (total of NH3 and NH4+)-N/L. Standards were in effect only during the low-flow, warm season period, from approximately May 1 through October 31, which covered the peak period of algal growth. At the time the TMDLs were set, the river averaged over 1 mg TP/L and over 5 mg ammonia (total of NH3 and NH4)-N/L in the summer. Phosphorus (P) control has been much more challenging. While the bulk of the phosphorus entering the river was from WRRFs, inputs from nonpoint sources were also significant. A concerted effort to reduce nonpoint sources of phosphorus was clearly necessary, addressing the three dominant land uses in the watershed. Forestry is practices on the mountainous fringe, agriculture dominates the foothills and valley floor, and the urbanized area is primarily near the river in the center of the valley floor. A Designated Management Agency (DMA) representing each of the three categories of land use was assigned responsibility for developing and implementing both monitoring and Best Management Practices (BMPs) plans to restore beneficial uses for the river by lowering nonpoint source pollution. The urban DMA is Clean Water Services (CWS), which collects and treats nearly all the sanitary sewer discharge in the valley. CWS also is responsible for stormwater management in the urban areas of the county. The agricultural DMA is the Oregon Department of Agriculture (ODA), which passed its primary responsibility to the Soil and Water Conservation District (SWCD) as Washington County roughly encompasses the entire Tualatin Watershed. 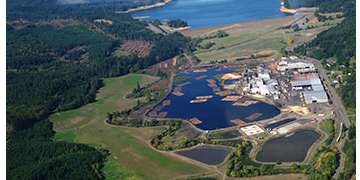 The forestry DMA is the Oregon Department of Forestry (ODF). Oregon DEQ set acceptable loads - expressed as median monthly concentrations - for streams passing through primarily forested watersheds at 20 micrograms TP/L. Loads for streams passing through agricultural areas were set at 50 micrograms TP/L; and loads on the lower, urbanized portion of the Tualatin River was set at 70 micrograms TP/L. The Tualatin watershed drew on the technical resources available in the valley in an effort to evaluate and understand the river system. The SWCD appointed a Technical Advisory committee to assist with agricultural issues related to the TMDLs. However, membership rapidly grew to include representatives of urban systems and forestry as well as Oregon DEQ. An intense period of meetings followed which brought all involved parties to a high level of technical awareness in terms of monitoring, interpretation, objectives of the program and BMPs. Beginning a couple years later, the TRRAC met each spring to discuss the plans for the upcoming summer monitoring and research, and met again each autumn to discuss the monitoring results. All parties interested in the technical developments in the watershed were invited. The discussions brought all three DMAs up to date with results of a joint USGS/Oregon Graduate Institute research project, as well as other water quality research that had occurred in the watershed over the previous year. Decisions related to monitoring and BMP implementation could be made rapidly and effectively following these meetings, prior to formal publication of results in many cases. CWS developed new, highly effective chemical methods of P removal which brought summertime WRRF effluent concentrations averages down to 50 micrograms TP/L from values over 7,000 micrograms TP/L. Although costly, this effectively eliminated P pollution from WRRFs during summer months. Concentrations in the mainstem of the river dropped to between 100 and 150 micrograms TP/L in the summer, still approximately twice the target TMDL concentration. The remainder was derived from natural sources and human nonpoint source activities. Approximately six years of research and monitoring groundwater inputs, surface water inputs and runoff inputs led to this determination. BMPs have been instituted, with some ongoing monitoring conducted to assess the long-term impacts of these BMPs on water quality. Current estimates of natural background levels, derived from valley sediments and P-rich geology in the surrounding mountains, indicate that it may be very difficult to lower mainstem TP concentrations below 100 micrograms/L. The TMDLs for both TP and ammonia have been updated. Though ammonium-N levels have improved and continue to do so under the original TMDL, the plan did not address low DO values found in many of the Tualatin's tributaries. 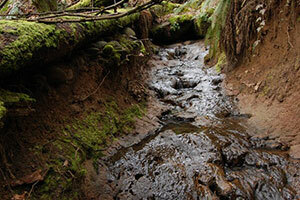 Twenty-one tributaries in the Tualatin Basin were listed for low DO on the original 1998 303(d) list. In addition, temperature TMDLs have been established on many tributaries of the Tualatin during the summer months, because coldwater game fish such as salmon and steelhead are important in these waters and to the communities. Temperature TMDLs are calculated based on heat energy loadings from solar radiation and point sources. (There is currently a Tree for All program to help plant trees along the Tualatin of which the tree canopy helps keep temperatures lower in the river.) Solar radiation heats unshaded water directly as well as soils, pavements, rooftops, etc. which in turn heat runoff waters. Point sources such as industrial and municipal wastewater plants and power plants can also discharge heated water. For temperature TMDLs, it is much better to monitor temperature continuously, as temperature can change from season to season, day to day and even hour to hour. Additional TMDLs have been established for bacteria, chlorophyll and pH as well. You can help take action by supporting the Tualatin Riverkeepers by donating or volunteering. This Case Study was excerpted from the YSI publication Water Monitoring for Watershed Planning and TMDLs completed in collaboration with Dr. Wesley Jarrell, University of Illinois. Although the publication is older, the material is correct and applicable in today's environment. I have several hard copies left - if you'd like one, contact me, Patrick Higgins at phiggins@ysi.com and I would be happy to send one out.